NORTH CONWAY, NH – We love books. We love beer. 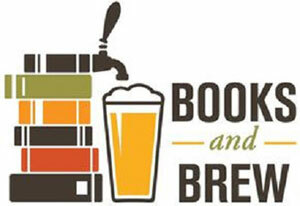 We love pairing books with beer! That’s why we are so excited to be partnering with Moat Mountain Smoke House & Brewing Co. to host our Fall 2018 Books & Brew! Nichole and Laura will be there sharing 4-5 paperbacks ranging from hot new releases, sleepers, those books you missed and shouldn’t have and more! Plus, special guest, New England Scholastic Rep. Nikki Mutch will be there giving her own book pair! And of course there will be Moat beer! Tickets are $30 and includes a flight of 8 beers and one new book to take home.